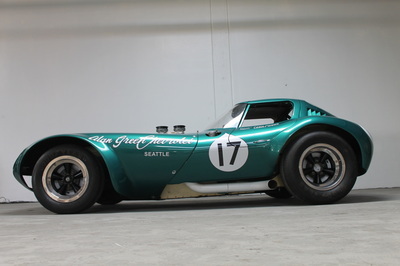 1964 BILL THOMAS CHEETAH #BTC003 WILL BE AT Russo Steele AT AMELIA MARCH 7 AT 6 PM AUCTION. Alan Green Chevrolet in Seattle, Washington ordered 3 new Cheetahs from Bill Thomas Race Cars late in 1963. 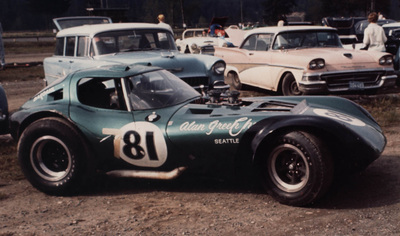 The first Alan Green Chevrolet Cheetah was built to racing specifications. It was destroyed in a practice accident before the American Challenge Cup race at Daytona February 15, 1964. 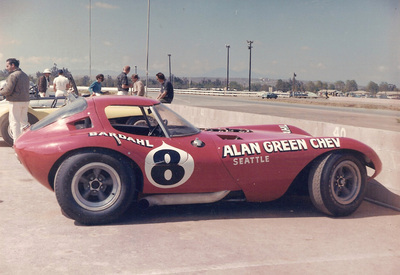 The third Alan Green Chevrolet Cheetah was built as a street car. It flipped in an accident at the drag strip in 1970. ALAN GREEN and his wife BOOKY are in the above photo in May 1964 taking delivery of her street car. The second Alan Green Chevrolet Cheetah was also built to racing specifications. This Cheetah is now restored to it’s original beauty with an outstanding racing record, 10 FIA events in 1964-65. BOOKY GREEN is waving the checkered flag after ALLEN GRANT won the race at OREGON INTERNATIONAL RACEWAY, south of GOSHEN in July 1964. JAY SHORT Chevrolet got his sponsorship on the fender for this race, even though ALAN GREEN Chevrolet still owned the car. 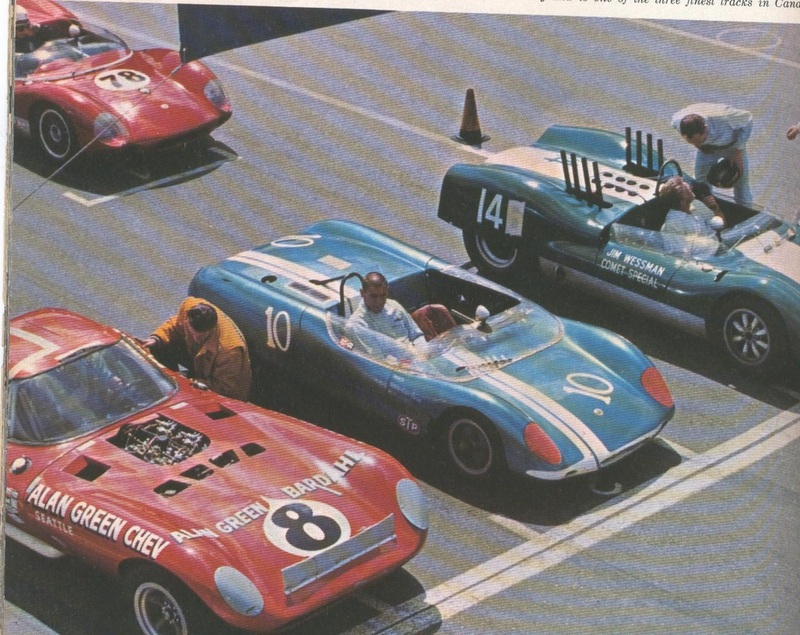 Its maiden race, a California Sports Car Club event, took place at Pomona on March 22, 1964. 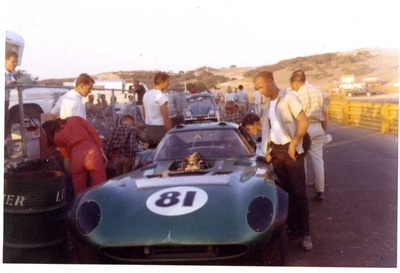 Somewhere about June 1964 the car was repainted Alan Green ” green”. The first color pictures of the Cheetah in green from this time period are from the Los Angeles Times Grand Prix at Riverside International Raceway in October of 1964. The drivers for Alan Green Chevrolet included JERRY GRANT, ALLEN GRANT, (the Grants are not related), DON JANSEN, GARY GOVE and LARRY WEBB. 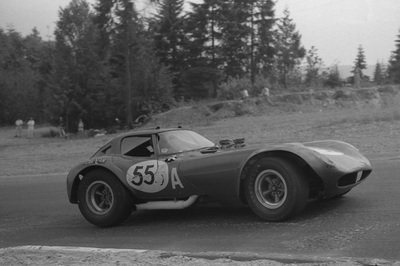 Jerry Grant became a factory driver for Caroll Shelby and was on the Cobra team that won the 1965 FIA World Constructors’ Championship for Shelby American. Jerry also drove GT40 Fords at Le Mans and Sebring, and drove the Indy 500 many times. 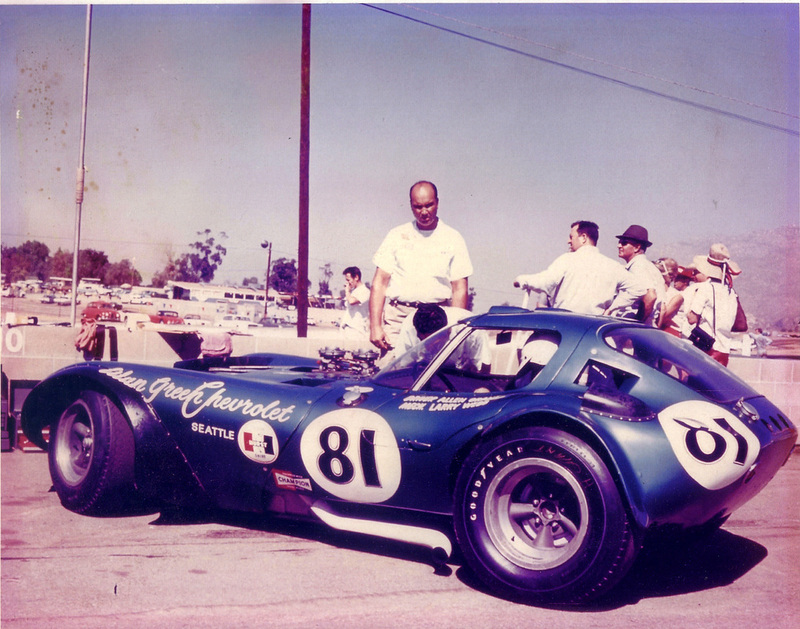 Allen Grant also later drove for Shelby American at Daytona, Sebring, Monza Tourist Trophy, Le Mans, and Reims. In May, 1966 Alan Green Chevrolet sold the Cheetah to Jerry Copely of Medford Oregon. He had it painted by a friend, whose color of choice was purple, and he raced it for one year. 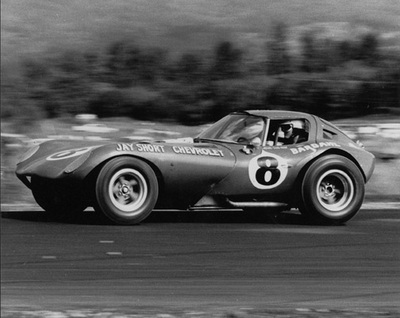 Copely won the SCCA Regional Championship for his class, but when his wife became pregnant he sold the car to Barrie Grant of Grants Pass, Oregon in March, 1977. 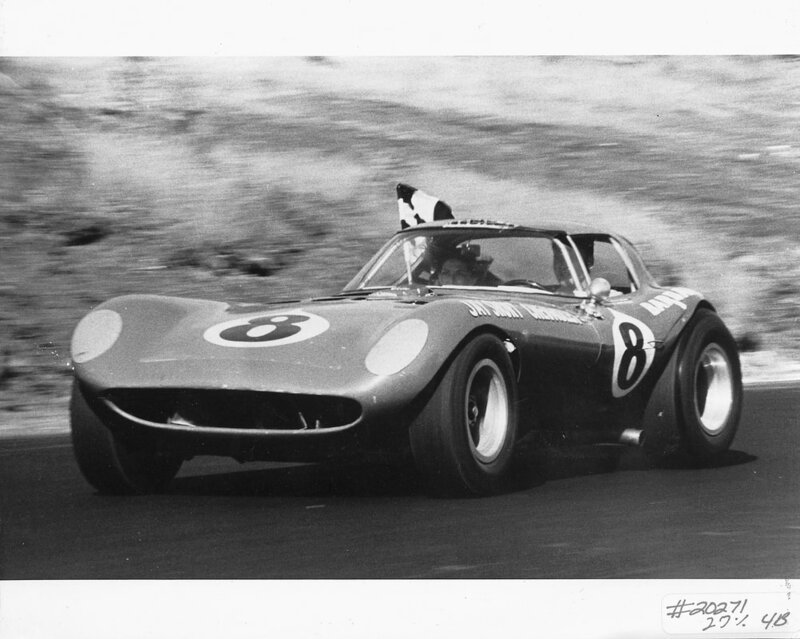 Barrie Grant painted the Cheetah yellow, then later blue. He raced the Cheetah through 1970 and picked up two more SCCA Regional Championships. In May, 1972 Barrie Grant sold the car to Rob Pinkham of Lake Tahoe, California. Pinkham began a ten year restoration of a very used and tired Cheetah, transforming it into a street car. That included things like a functioning horn, turn signals, and a windshield wiper. In 1982 Pinkham had the car licensed for the street, overcoming problems like no ID tag affixed to the car, or numbers stamped to the frame. He tried to contact Bill Thomas, but was unsuccessful for help in getting an ID #. 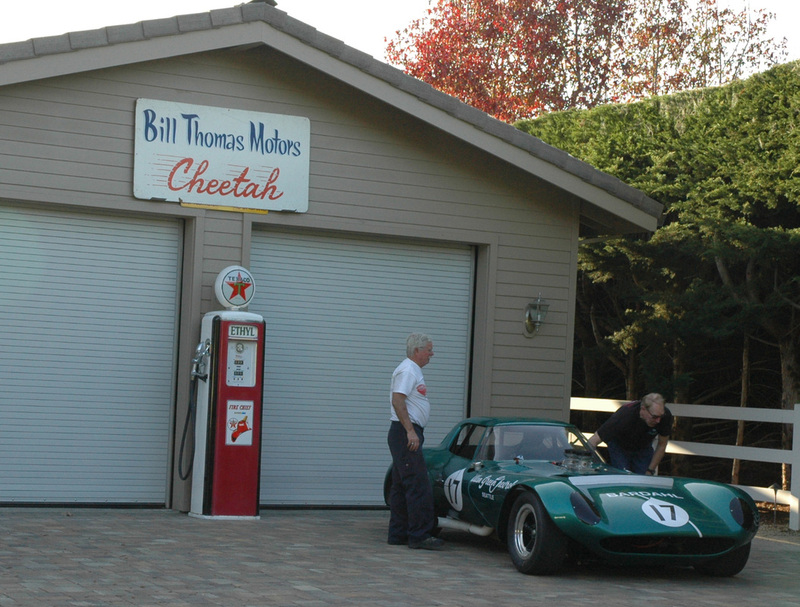 The Cheetah project had left Bill Thomas with a very poor opinion of Chevrolet who had promised great support for his Cobra killer car, but never delivered. For years he wouldn’t talk to anyone about the Cheetah. With no guidance from Bill Thomas, Pinkham chose BTC003 as the ID number. He had it welded to the square tube upper front crossmember. This was the ID # used when the Cheetah was licensed for the street. Pinkham moved to Southern California and entered the Cheetah in Concours in the area, and as a spectator drove it to vintage races. He went to the Monterey Historics twice, Palms Springs VARA Vintage races and the Carlsbad, California Drag strip. At Carlsbad, he had a picture taken with himself and Zora Duntov standing by the Cheetah and the Cerv II, the Chevrolet test car. The Cheetah was also featured in a GMC truck advertisement at this time from these photos. Fred Yeakel from Trabuco Canyon, California purchased the Cheetah from Rob Pinkham in May, 1989. Yeakel took off the original body and stored it in the rafters of his garage. He located an original body in Albuquerque, New Mexico that had never been on a car. The rear body had been cut up. After repairs, the new body was painted red and installed on the car. It was lettered with the # 8, and Allen Green logo on the front fender. 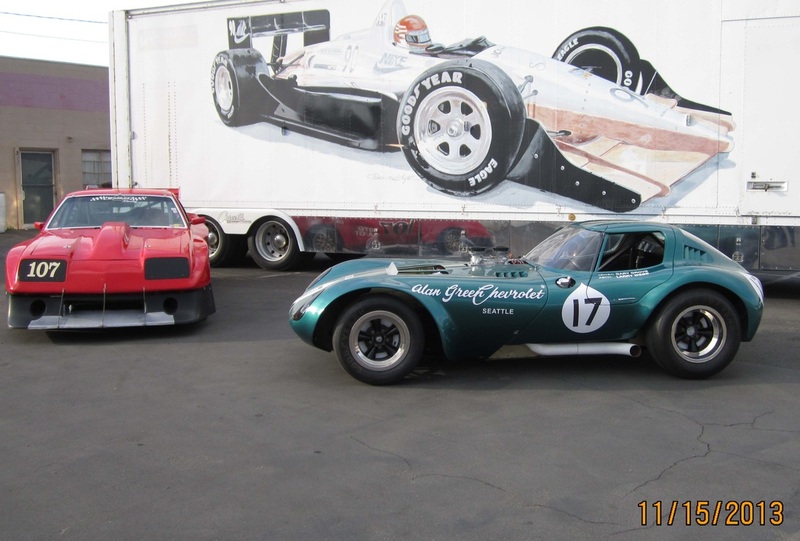 For twenty two years since 1989 the second Alan Green Chevrolet Cheetah raced on the West Coast from Mission Raceway in Canada to Coronado Island, California near San San Diego. 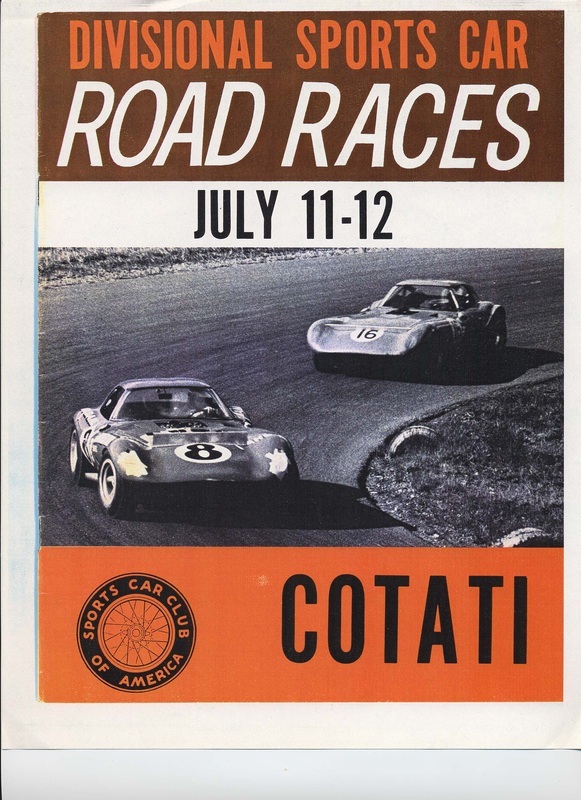 It raced more than ten times at the Monterey Historic Automobile Races, Sonoma, Portland, Seattle, Las Vegas, Crows Landing, Thunderhill, Phoenix, Willow Springs, Palm Springs, Los Angeles Vintage Races to name some of the tracks. In 1994, the first year for the United States Road Racing Championship (USRRC), Seniors Tour Series, Yeakel’s Cheetah won the Entrepreneur’s Cup for front engine cars. Automobile Magazine and Corvette Quarterly have both done feature articles on the Alan Green Chevrolet Cheetah. Several times Vintage Motorsport has chosen the Cheetah as “the Pick of the Litter”. 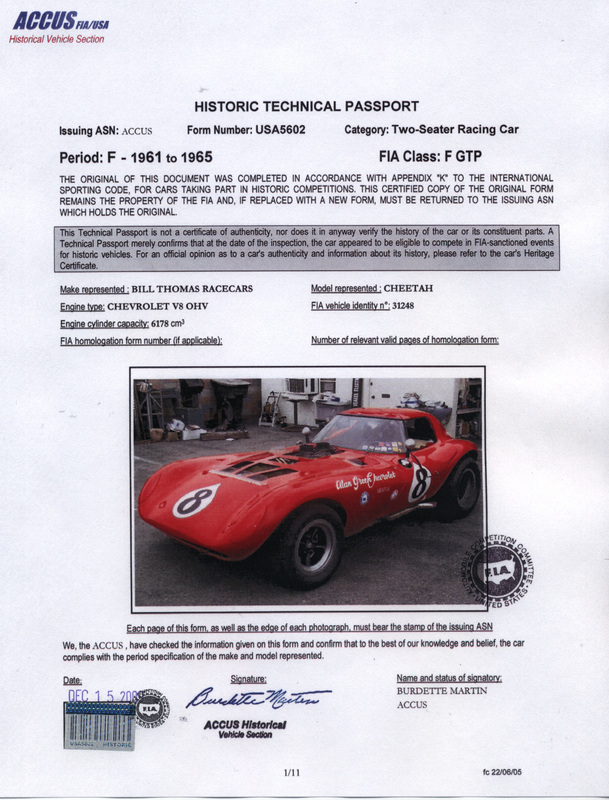 In 2009 the Federation Internationale de L’Automobile ( FIA) issued a Historic Technical Passports (HTP) #31248 to the ex Alan Green Chevrolet Cheetah. This is the only Cheetah known to have a HTP. The HTP #31248 makes the car eligible for any FIA event in the world. 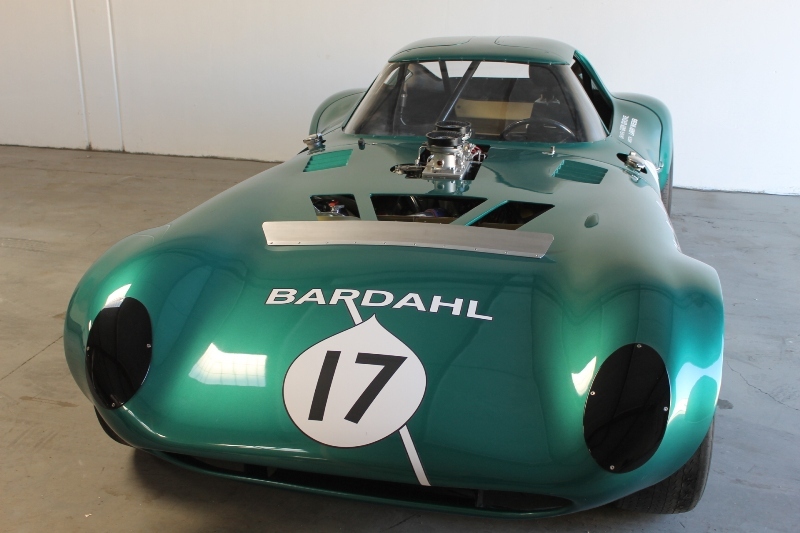 In the fall of 2012 the decision was made to put the original body back on the frame and restore the car to it’s 1965 Green livery. The process took over a year and included a new modern wiring harness. 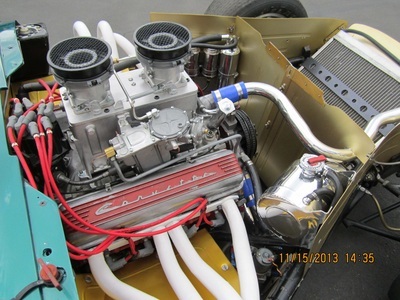 The dual air meter fuel injection was rebuilt at this time. Original American Racing five spoke magnesium wheels are still on the car. 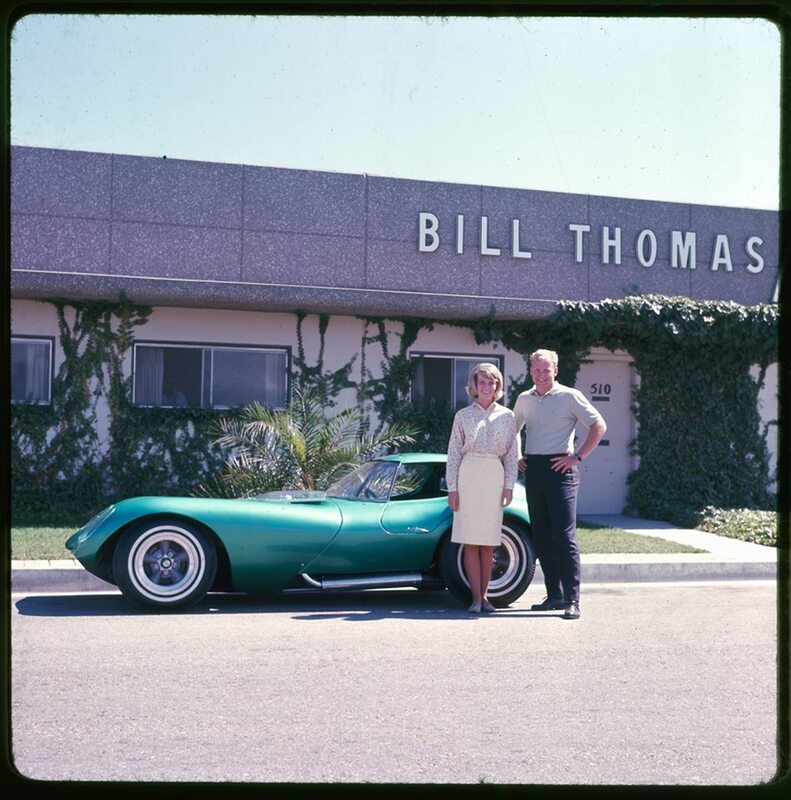 It’s possible that no one knows Corvette motors better than Bill Thomas. Bill Thomas starting tuning motors for Corvettes in 1957. Over the years he worked on many Chevrolet motors including Corvairs, 409s and many variations of the “small block Chevrolet”. In the summer of 1962 Carroll Shelby created the Cobra powered by a Ford engine. 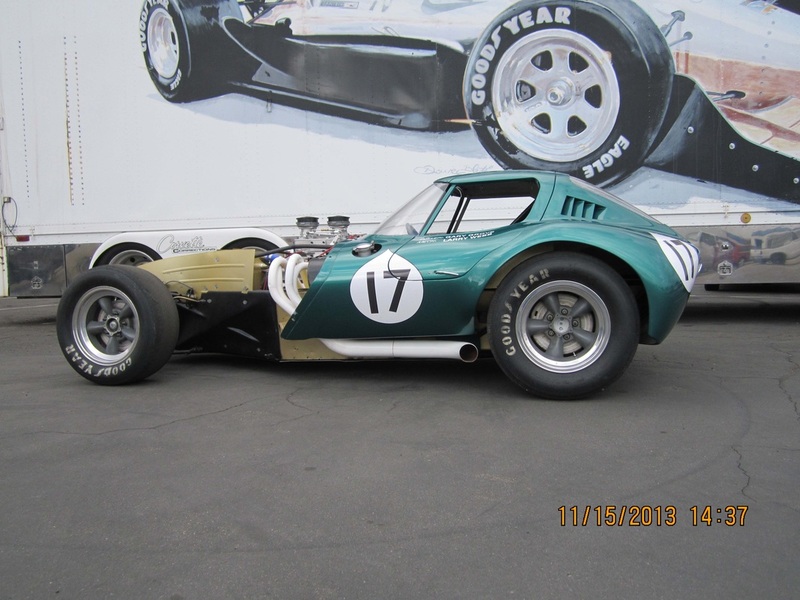 The first race for the Cobra was also the first race for the new 1963 Corvette Sting Ray in October 16, 1962 at Riverside Raceway. The results told the world that the Corvette was 1000 pounds too heavy and needed disc brakes. 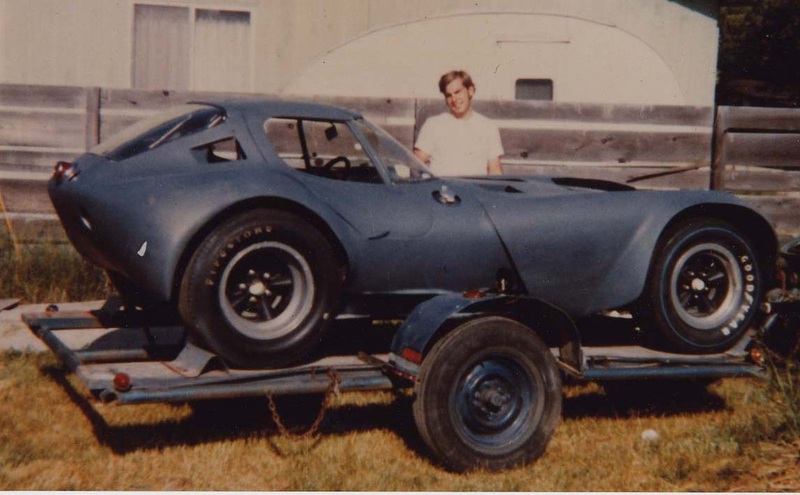 In the spring of 1963, and with the promise of back door support from Vince Piggins & Bunkie Knudsen of Chevrolet, Bill Thomas called in Don Edmunds his chief fabricator and told him that he wanted to build a Corvette powered coupe to sell. If 100 could be built in a year the car would compete in sports car races in the production category. The mechanical components would use Chevrolet items wherever possible. To move the weight as far back as possible the drive shaft was eliminated, and the Corvette 4 speed transmission was coupled directly to the Sting Ray differential. In 1963, GM did not produce disk brakes. 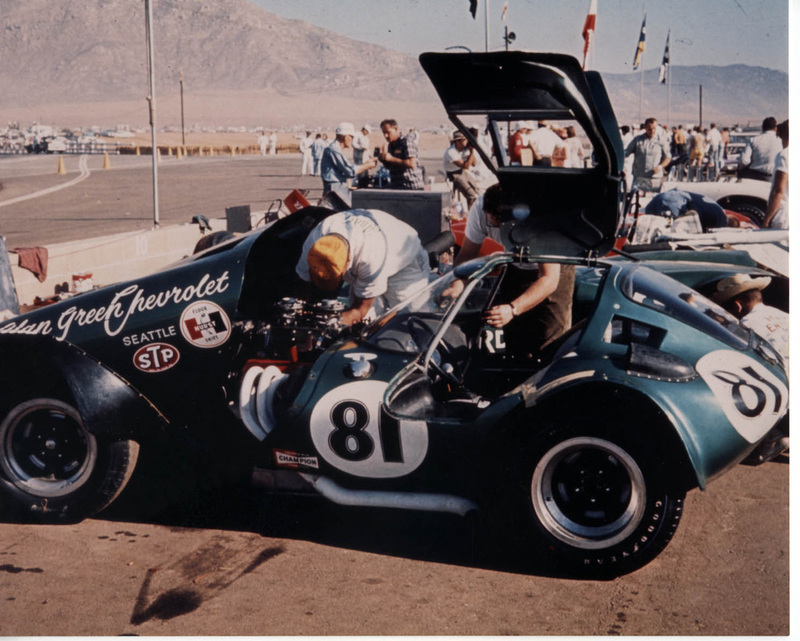 Bill Thomas built engines for more than one NASCAR team, and was familiar with Chevrolet’s NASCAR drum brake setup Thomas figured that if it would stop a 3700# stock car it could stop a 1600# sports car so he used the NASCAR drum brake setup. 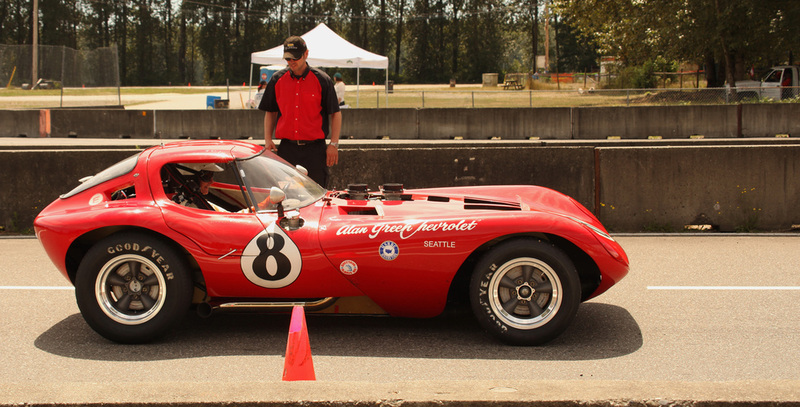 The first fiberglass Cheetahs produced, were for racing. According to Don Edmunds, “we got them out the door without worrying about serial numbers or ID numbers. They needed 4 cars to run the American Challenge Cup at Daytona which was scheduled for February 15, 1964. 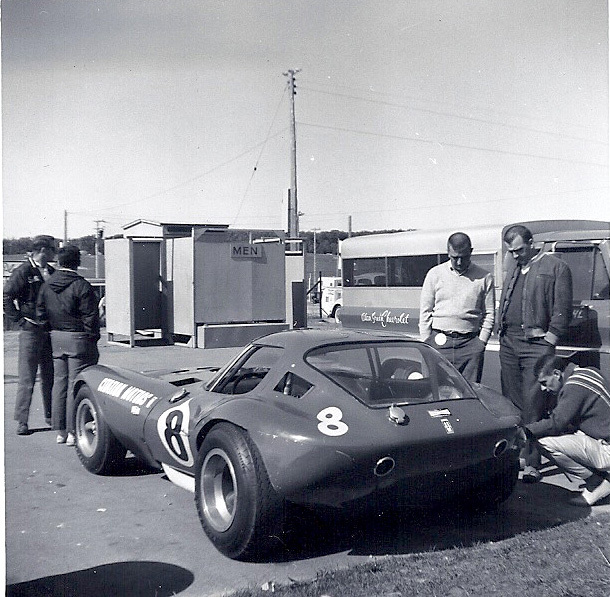 When Ralph Salyer, Bud Clusserath, and the Alan Green Chevrolet groups arrived to pick up their cars, they weren’t finished. So they all pitched in and helped to finish the Cheetahs. The fourth Cheetah was entered for Daytona by Bill Thomas with Jerry Titus driving. 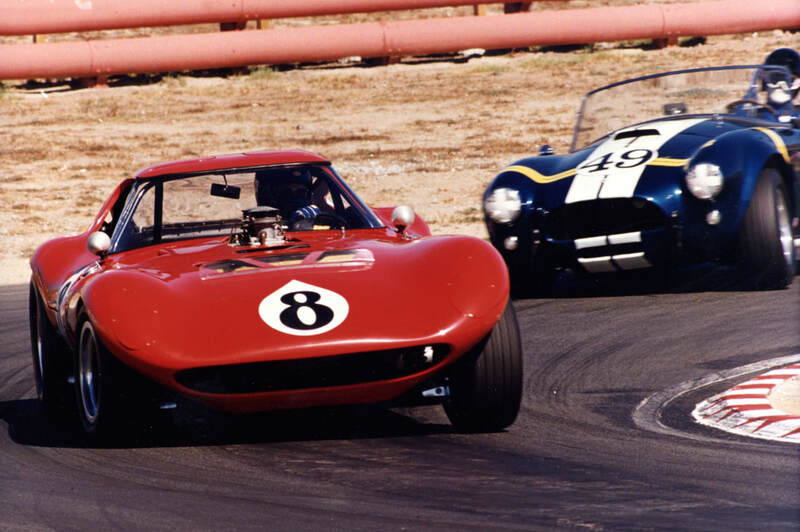 Unfortunately the Thomas Cheetah was in a racing accident at Riverside Raceway two weeks before on February 1, 1964. 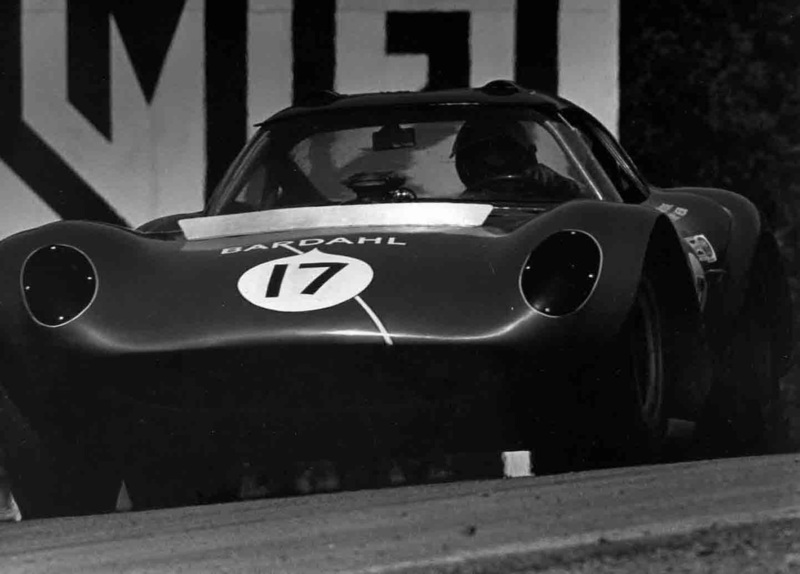 Another problem was Chevrolet’s support was withdrawn in 1964 just after the first few cars were built. This action ended the production for the Cheetah. 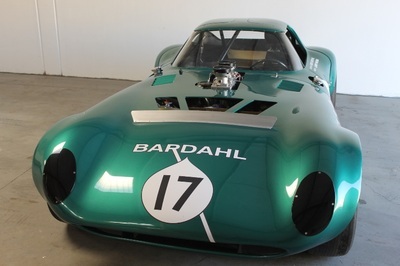 Since 1989, Fred Yeakel has vintage raced this car at many Monterey Historic race events. THE CAR WAS INVITED AND PRESENTED AT THE MONTICETO MOTOR CLASSIC IN UPSTATE NEW YORK ON SEPTEMBER 24, 2017.